Interested in joing the French Foreign Legion? Want to know what the training consists of? Our guide gives you the facts & information you want to know. The French Foreign Legion is a military set-up that consists of about 8,500 men serving as a part of the Armed Forces of France. The Legion was founded in 1831 by the then King of France, Louis Philippe. The main aim was to assist in reducing the blood shed as a result of war in Algeria. The objective behind the formation was clear; to establish a Legion of Soldiers from anywhere other than France and place them on a contract of not less than Five Years to assist France in its Fighting. Before training begins, prospective candidates need to apply to the legion in person. This means traveling to Paris or Aubagne in the South of France and presenting oneself at the Fort de Nogent. After a brief interview successful applicants are given a new identity and begin basic training. 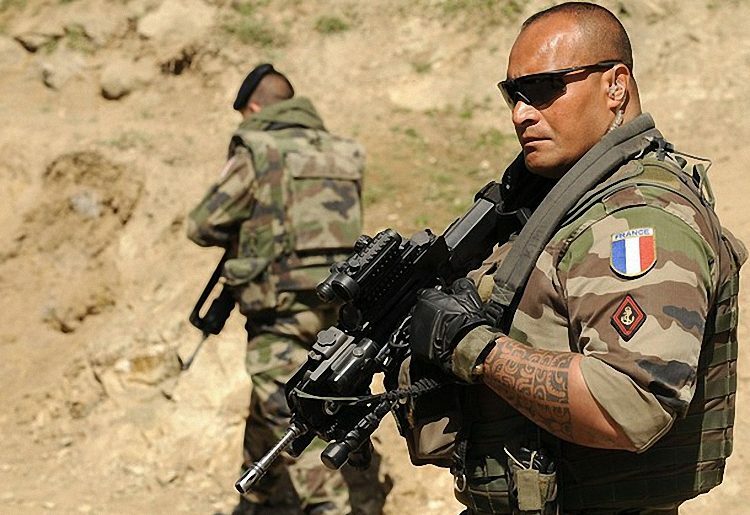 How long is french foreign legion training? This stage of training is very physical and is intended to separate the serious candidates from the rest. In addition to basic instruction on the history and culture of the legion, great emphasis is placed on physical activities. This involves long marches, running, hiking with heavy equipment and learning the legion’s songs. It’s designed so that only those candidates with great physical stamina, mental strength and disciple will be able to pass it. Candidates are deliberately deprived of sleep and given only meager meals to see if they can maintain performance under tough conditions. This serves to get rid of men who aren’t likely to possess the traits needed to be a legionnaire before moving on to further more specific military training. Candidates who pass the first four weeks are rewarded with the famous white cap of the legion. From this point on they are considered legionnaires but they are still in training. New legionnaires are split up into smaller groups and sent off to different barracks. They start to be taught more practical military skills like operating weapons, patrolling in tactical formations as well as the usual running and marching. A week is dedicated to mountain training. This involves mountain climbing and how to fight and survive in snowy conditions. Training takes place at Chalet at Formiguière in the French Pyrenees mountains. New legionnaires are sent back to barracks for a further two weeks of basic training at various barracks around France. Theoretical exams take place to see how well new candidates have assimilated the information and skills taught so far. If the exams are passed successfully legionnaires will be given an elementary technical certificate. After this there is a ceremonial march signifies that basic training is technically complete. This week is dedicated to learning how to operate trucks and light armored vehicles. Legionnares return to the barracks in Aubagne near Marseilles. Here they are assigned to their permanent regiment. Training continues after basic training. During the course of a 5 year service contract a legionnaire will be trained in several specific combat environments including desert warfare in Djibuti, and tropical jungle warfare in French Guyana. In addition all legionnaires are adept parachutists. For New Legionnaires, the French Foreign Legion Training comprises of several activities which begins from the Orientation. The men are grouped into 30 each and live in rooms with the training staff referred to as Corporals. The new recruits are assigned French speaking instructors who will assist them in learning French and see to it they understand all they are being taught. All orders are given out in French and it is important to learn it fast so as to catch up adequately. Failure to pick up on French quickly will cause difficulties for the candidate and could jeopardize their success in the legion. Singing and Marching are very integral part of the French Foreign Legion Training, various songs are taught and learnt and once a song is understood, it is combined with marching and put to practice. The Legion’s marching pace is 88 per minute. More than anything, The basic training is about mental toughness. The legion isn’t looking for people with six packs who can bench press heavy weights provided they have their 6 meals a day and eight hours sleep. Live combat requires the ability to perform in spite of less than optimal conditions so legionnaire are expected to show physical stamina whilst being deprived of adequate sleep and food. To be a Sound part of the French Foreign Legion Training, the code of honor that is provided must be memorized and the Legionnaire must be able to recite it in French flawlessly, this qualifies for a Kepi Blanc which is a traditional white hat that symbolizes the French Foreign Legion worldwide. During the French Foreign Legion Training, several procedures of addressing superiors are taught and must be obeyed. Performing the guard duty is one of the vital requirements and is regarded as very serious. The accepted form of punishment for disobedience during the French Foreign Legion Training is Corporal Punishment and entails being locked up. Legionnaires are not allowed to phone or write up any person unless they have spent approximately two months in camp. An important aspect of the French Foreign Legion Training is the usage of weapons. The standard weapon used is the FAMAS, it’s a combat assault rifle used generally by the French Soldier. Physical tests and training are non-negotiable during the French Foreign Legion Training, they include 8KM run carrying a sack that weighs up to about 13kg and must end in less than an hour, running as far as 2,800 meters in 12 minutes, swimming tests and several others. The tests have no standard requirements but gets more tasking as training progresses. Generally, the French Foreign Legion Training is described as very tedious and physically challenging, it is also believed to stress the Legionnaires psychologically.